Former Pro Coach Kurtis Swanberg is now a professional baseball / softball instructor of the past 19 years for both Boys and Girls . The classes are designed to enhance the players skills and proper technique while learning all the fundamentals of the game. 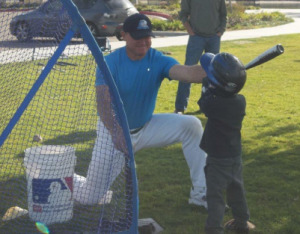 He will personally instruct the students in base-running, throwing, fielding, hitting, pitching and receiving the ball . His classes are considered one of the finest in all San Diego County. The players greatly develop their skills and confidence while enjoying a fun and rewarding time.